Two people have appeared in court charged with the murder of a child. Abigail Leatherland, 26, of Liskeard, and Thomas Curd, 31, of Watford, are accused of killing the girl in October. The pair have also been charged with causing or allowing death or serious injury to a child, according to Devon and Cornwall Police. 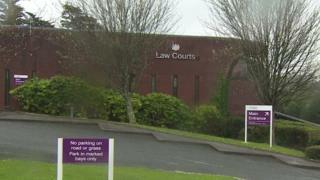 They appeared at Bodmin Magistrates' Court on Thursday and were remanded in custody to appear at Plymouth Crown Court on Friday.